Homeowners who upgrade their basic garage doors can realize an astounding 84 percent return on investment (ROI) on average, a national study on remodeling costs and value has found. At a time when homeowners are looking to reap the most bang for their buck, a study released in November by Remodeling magazine confirms that replacement of a basic garage door with a mid-range or upscale model is one of the best-value buys that can be made. At 84 percent on average, the improvement ranks higher than a kitchen or bath remodel. 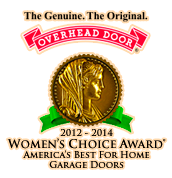 Dallas-based Overhead Door, one of the nation’s leading manufacturers of overhead doors and openers for residential, commercial and industrial construction applications, commissioned Remodeling magazine to include garage doors for the first time in its 2010-2011 Cost vs. Value Report. The results of the annual report confirm what those in the garage door industry have for years believed to be true – replacement of a standard garage door with a mid-range or upscale model is one of the quickest and most valuable investments a homeowner can make. This year’s survey evaluated a typical $1,300 cost to replace a basic garage door with a mid-range model and determined the value of that replacement at sale to be $1,100. This equates to an 84 percent ROI and is the second highest rated project a homeowner can undertake, according to the study. A typical $3,500 cost to replace a mid-range model with an upscale one had an estimated value at sale of $2,500 — a 70 percent ROI. While the aforementioned numbers are for the national average, the survey also found that in some markets – Charleston, W. V., Honolulu, Providence, R.I., and San Francisco – the value of a replacement at sale is projected to be more than 100 percent. Overhead Door Company of Tucson and Southern Arizona, Inc. guarantees our genuine ‘’Overhead Door‘’ products to be free from defects for five years. This to include any and all mechanical and electrical components related to the door and door opener components. Our company warranty includes all labor for a period of two years. In addition to this ‘’In House’’ warranty, as the authorized distributor for ‘’Overhead Door’’ products we fully support and back the additional warranties by the manufacturer. You can feel confident that your products are backed by the most comprehensive warranties in Tucson. Assuring piece of mind in your purchase decision making. 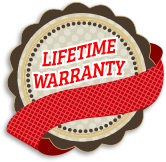 Extended and Lifetime warranties are available on most products. Speak with a sales representative about your specific project to find out what options are available to you.